Christian Maier GmbH series DQ rotary joints/unions are available from Novasys Group . These rotary joints/unions are suitable for transferring thermal oil of up to 400°C and for rotational speeds of up to 2000 rpm. The Christian Maier GmbH series DQ rotary joints/unions are suitable for applications found in coating and laminating plants, in paper, non-woven and textile calendars, dryers and in rotary reaction vessels. Chemical reactions in the form of carbonisation and cracking take place if hot thermal oil comes into contact with atmospheric oxygen. This can cause damage to rotary joint seals causing hot oil and oil vapours to escape. Christian Maier DQ sealing system prevents this damage by isolating atmospheric oxygen from the hot oil by means of a barrier fluid. A cooling unit is used with the DQ and DQT series for cooling the barrier fluid using the same heat transfer medium as in the main circuit. The DQL version does not require a cooling unit since its temperature limit is 250°C. The primary seal is pressure balanced and free running. A seal protector disk provides protection against coarse contamination resulting in a longer seal life. The secondary seal is subject to low stress due to the cooled barrier fluid, resulting in a longer life. Insulation of the rotor protects the bearings from high temperature and prevents energy loss. 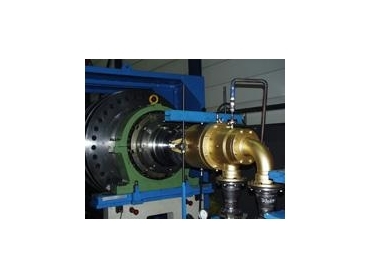 The function of the rotary joints is monitored through control elements on the cooling unit. If minor leakage occurs, it can be easily identified and it is possible to continue operation up to the next scheduled shut-down.